It’s a merry day Merri-Mac! Today we woke up to some refreshingly chilly weather and a little bit of rain, and the campers (very slowly) rolled out of bed to start their chores in hopes of receiving the coveted cabin cake. In sweatshirts and leggings, the campers made their way down the hill to enjoy a classic breakfast of eggs, sausage, and biscuits. The sunnysider’s declared today to be “Super Saturday”, and they all donned capes, superhero shirts, and stickers in celebration. We also sang the birthday rap to Lucie K., happy birthday Lucie! After breakfast, we all went to chapel and heard a message from Julia S. about who Jesus is as a father to all of us. The sun came out just before classes started, making it a fun morning for everyone! On the dock, Canoe-ers worked on swamping (flipping) and unswamping boats, diving worked on achieving bars, and I saw some pretty impressive rolls in kayaking! In climbing I even got to see Maddie W. achieve the gold route on the traverse wall! In basketball, bars were achieved and a fun game of knockout was played. Needless to say it was a very exciting morning for everyone! How lucky we are to be at a place where so much fun is so typical for each day. For lunch, we had monte cristos and a camp favorite, waffle fries! Today was also declared to be tribal song switch day, and all of the tribes sang each other’s songs and chants. With full stomachs and slightly sore voices, we all headed up for a much-needed rest hour, where we voted on cabin princesses! In each cabin, one girl is chosen to participate in the princess party each session, and this time we will be celebrating Marianna S.! During free time, the campers participated in the best day of the week, Slide Saturday! The waterslide on the lake is one of the most exciting activities at camp, so it was a fun afternoon for everyone. Afternoon activities were fun as tennis worked on serves and I got to see a bullseye in archery!! Fitness switched it up today and went to the lake to learn water aerobics; not going to lie I was a little jealous! Backpacking filtered water and learned about stoves, which is an essential skill for overnight trips and hiking. I also got to say hi to the adorable paws puppies while they were being walked around camp! 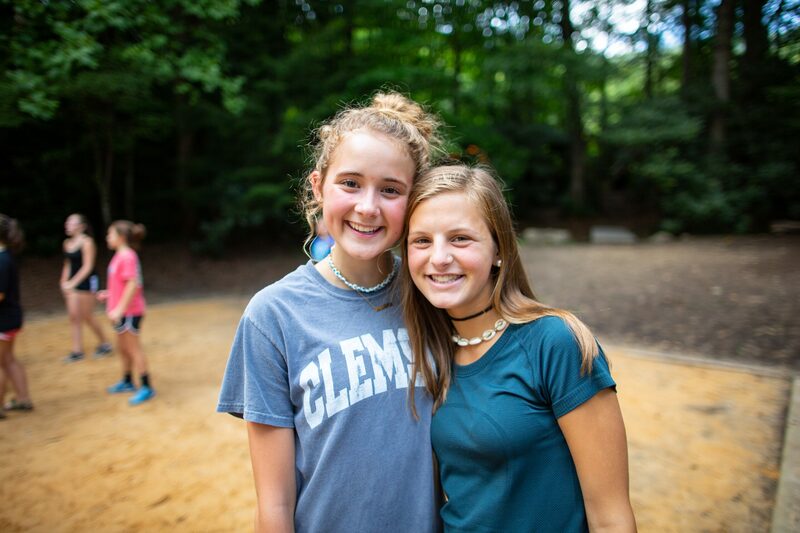 After activities, campers eagerly awaited dinner and the evening activity! It was also “we-were’s” at dinner tonight, meaning that everyone sang the songs of past cabins that they have been it. It’s a fun and very nostalgic treat! Tonight we played a new camp favorite tribal game, El Presidente!! Go Choctaw!! Thank you, parents, for sharing your girls with us this summer. They are learning and growing in ways that are so cool to watch and be a part of.